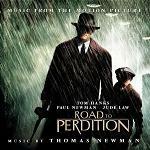 Thomas Newman is another of Alfred Newman's sons, David Newman's brother, and therefore part of that very musical family which also includes Lionel Newman and Randy Newman. Thomas quickly made a name for himself with his early soundtrack work on "Reckless" and "Desperately Seeking Susan". This led to his employment on some high profile hollywood films including "Fried Green Tomatoes at the Whistle Stop Cafe", "Scent of a Woman" and "The Shawshank Redemption" where he has displayed an easy ability to both use and mix a wide variety of traditional and popular styles. Since this inauguration, his career has seemed to grow exponentially, with recent years building a CV putting him at the top of the profession with "Up Close and Personal", "The Horse Whisperer", "The Green Mile", Meet Joe Black, "American Beauty", "Erin Brockovich" and The Road to Perdition! Among Newman's supreme talents is the ability to musically paint great subtleties of mood and emotion. 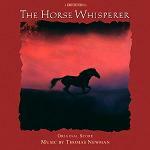 This was ably demonstrated on the soundtrack to "The Horse Whisperer", whose early scenes in New York use dreamlike music to establish the events before and after the accident which physically and emotionally scars a young girl and her horse, affecting her family. When the horse is taken to the Whisperer in Montana the music takes on a slight touch of country, and then superbly highlights the trials and steps leading to recovery, which also entangle the lives of those involved. Although the music in this film is quite prominent, sometimes Newman's music is required to take a back seat. This was evident in movies such as "In the Bedroom" where he was able to subtly heighten scenes of apparent normality and suggest all sorts of thoughts that might lurk under the surface. This ability was stretched further in the haunting dreamlike music in "American Beauty" which is perfectly suited for the movie's blending of fantasy and perspectives on reality. Its main sounds are tuned percussion though based on short figures rather than overt melody (another Newman hallmark). The success of this movie and popular identification with its heightened reality in mundane circumstances, has resulted in the music (and many imitations) being used in many other places including TV and radio. In many ways Newman is leading the way in finding a new voice for film music. His distinctive music seems to enjoy sounds which jingle and tinkle, using piano, strings or pads, and tuned percussion played with mallets, while blending natural and synthesised instruments, and sprinkling the mix with effects. His style can use aspects of popular, jazz, classical and world music, yet their fusion is uniquely Thomas Newman and always interesting. While Thomas Newman has not done a lot of work in television, his contributions to the small screen have been just as memorable as his contributions to the large screen. His title theme for "Six Feet Under" has won a grammy and his music for the mini-series Angels in America has won the composer much critical acclaim. 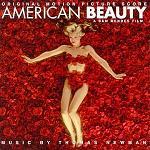 His film scores continue to keep Thomas Newman very busy indeed. 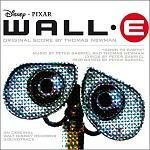 After his traditional orchestral score for "The Good German" and his cute family score for "Wall.E", Newman has scored "Revolutionary Road", "Brothers", "The Debt", "The Adjustment Bureau" and "The Help". His latest films are contrasting works for "The Iron Lady" and his mildly spiced but delicious music for "The Best Exotic Marigold Hotel". 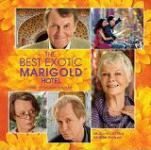 The sequel for this, amusingly called "The Second Best Exotic Marigold Hotel", was also wonderfully scored by Newman. David Arnold was too busy working on music for the London 2012 Olympic Games at the time, and so Sam Mendes called on Thomas Newman (wwith whom he had worked several times previously) to score Skyfall and then later the pair collaborated on the next Bond movie Spectre. See our article on James Bond Music for the overall story of Bond's music. Newman's understated score for Bridge of Spies makes him the first composer in 30 years other than John Williams to score a film directed by Steven Spielberg. Scent of a Woman - many of Newman's trademark sounds and some Tango music by "The Tango Project"